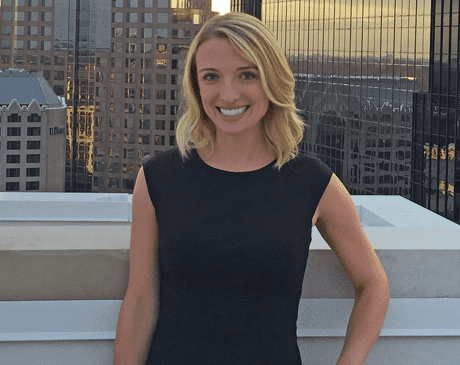 Dr. Jennifer D’Silva moved to Charlotte, North Carolina, in 2018 with her husband, Eric, after falling in love with the area. Since that time, she’s become an important member of the team at Skyview Dentistry, helping patients in Charlotte maintain great dental health. Dr. D’Silva is a native of Buffalo, New York, where she received her undergraduate degree from Canisius College and her Doctor of Dental Surgery degree from the University at Buffalo School of Dental Medicine. Following graduation, Dr. D’Silva completed a general practice residency program at Erie County Medical Center (ECMC) in Buffalo, where she treated medically complex patients with a focus on head and neck oncology patients. She was hired to stay as a part-time attending dentist at ECMC, in addition to working in private practice. Outside of her work in New York, Dr. D’Silva has also traveled on several dental mission trips to provide care to underserved residents of the Dominican Republic and remote areas of Appalachia. Dr. D’Silva maintains membership in the American Dental Association, North Carolina Dental Association, and the Charlotte Dental Society, and is active in many continuing education courses as well as local and national study groups. In her spare time, Dr. D’Silva and her husband enjoy the outdoors, cooking. and traveling together.